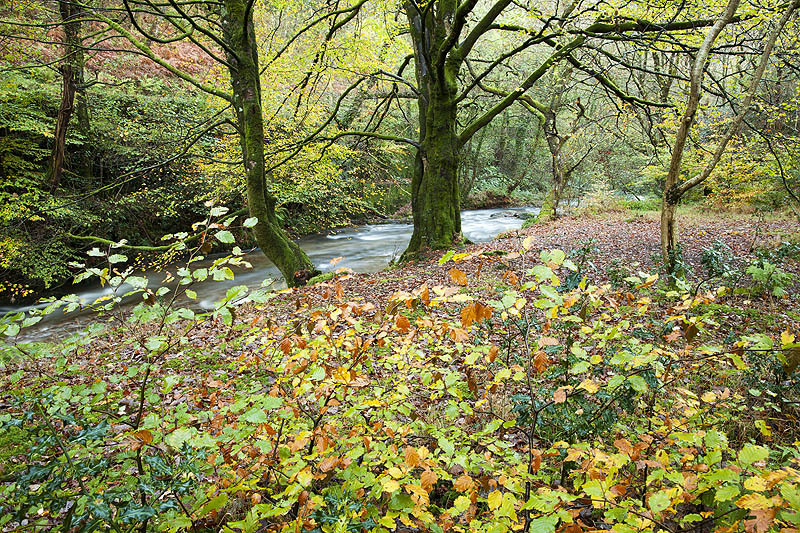 The West Lyn river meanders through woods full of autumn colour at Barbrook near Lynton in North Devon. Barbrook. North Devon November 2014.